2 double berths, one fixed, with sprung mattress, in the stern cabin and the dinette converts into a double or two single berths. 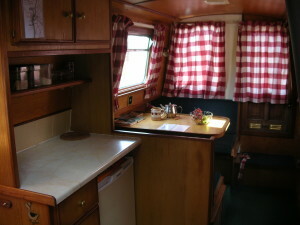 Central bathroom and galley. Radiator central heating. 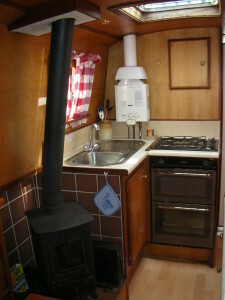 Cosy turf burning stove suitable for spring and autumn cruising. Luxury boat for two and compact boat for 4 adults. Easy boat to handle. Features large viewing window in Bow Cabin. 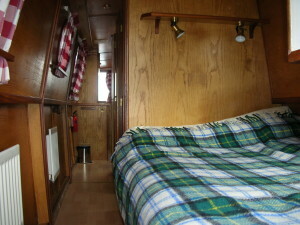 As with the famous show, ‘Riverdance’, this boat will take you into the heart of the country, it’s people and culture.